Ice cream for breakfast can also be a healthy option using this recipe. And it’s a perfect excuse to have some ice cream on a hot summer day in the morning. For this recipe, I made a delicious nice cream using only two ingredients. 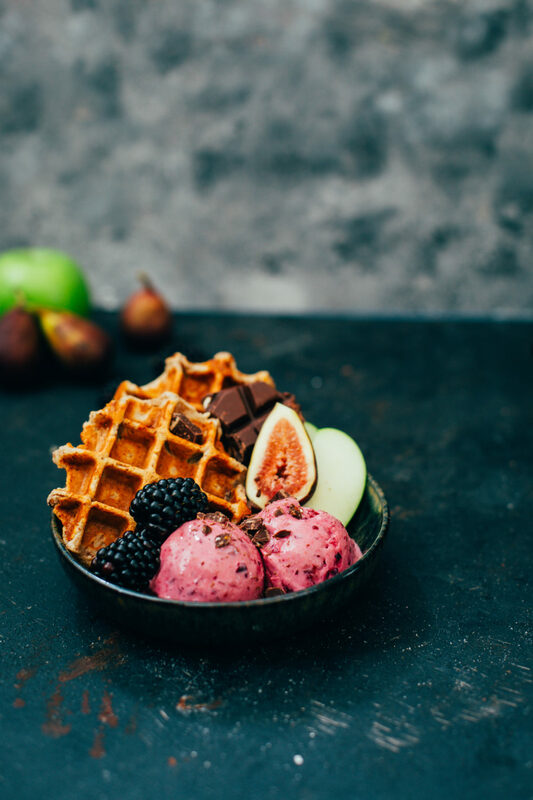 If you have a strong blender or food processor you just pulse together your favourite frozen fruit with low-fat quark for a nice protein rich dish. combine with a nice oaty waffle and extra fruit and you’ve got summer breakfast on a plate. Happy Waffle Wednesday. 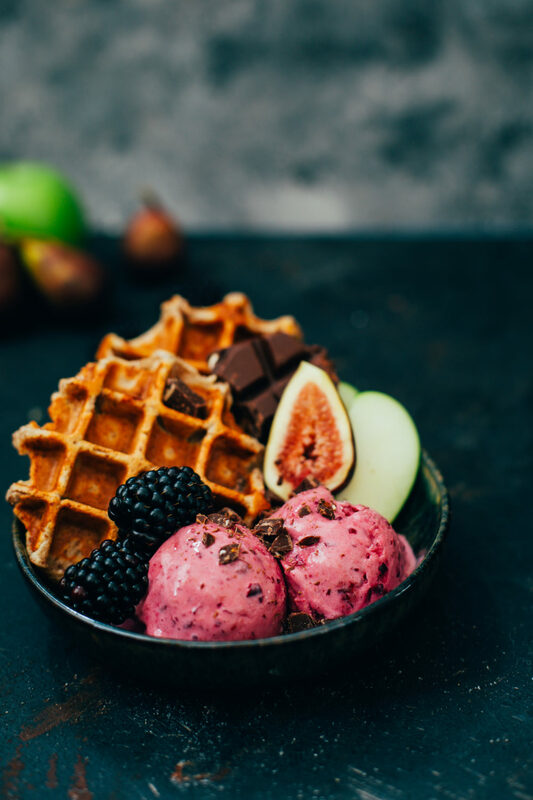 For the ice cream you just have to mix the two ingredients together (quark and fruit) in a food processor or a strong blender. If it’s too thick you can add extra quark and when done place it in the freezer to cool. In a bowl mix together the ingredients for the waffles. Oatmeal flour, low-fat quark, sugar, egg, and chocolate and mix until combined. Bake a generous tablespoon for one waffle. 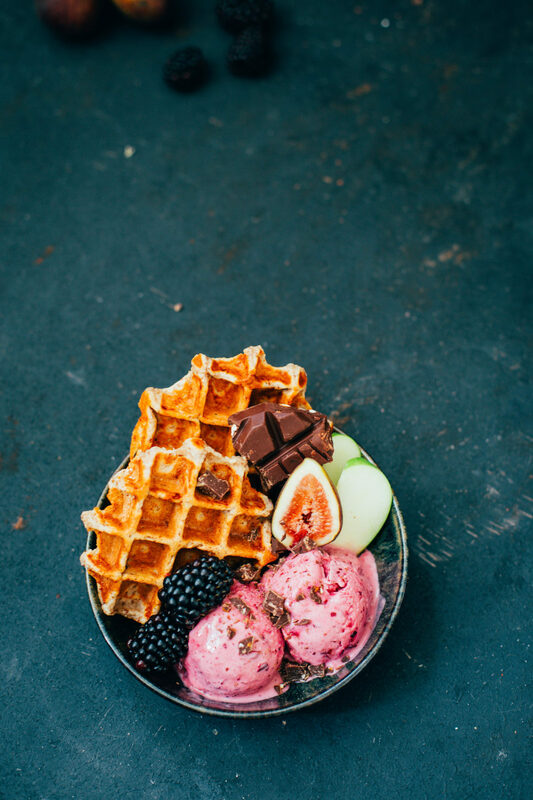 Serve the waffles with the fruit and ice cream and enjoy!